With the oversaturation of American pop culture in the UK, it can be easy to think of Vietnam as little more than the area where the biggest war of the second half of the 20th century took place. This can be enough to put a lot of people off visiting the country. Those people are seriously missing out on an amazing holiday as modern Vietnam is quickly becoming a hotspot for backpackers looking for a less beaten path than Thailand. Vietnam is very similar to Thailand in that it is a very cheap country with a rich history that is very different to the standard western holiday. The friendly locals, abundance of temples and difference in lifestyle to the west makes Vietnam an intriguing place to visit. The main benefit to Vietnam over the similar Asian countries like Thailand, Malaysia, Cambodia and Laos is the food. A major factor in this is the fact that historically Vietnam has spent a lot of time either occupied or as a tributary state to China, and at one point was colonised by the French, both countries known for their culinary prowess. This mix of flavours is most apparent in the local signature dish bánh mì, a sandwich consisting of meat and vegetables fried in a distinctly Chinese style and served in a French baguette. As a backpacker’s paradise, Vietnam has a lot of cheap hotels aimed at those on a budget, but what a lot of people don’t realise is that Vietnam is not lacking in luxury if you know where to look. 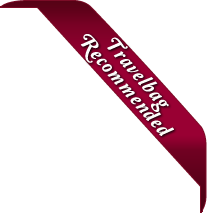 Luckily for you, it is our business at Travelbag to look, and we are proud to offer you a range of the very best hotels in Vietnam at budget prices. 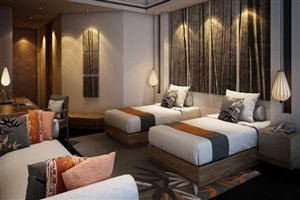 Vietnam has a large range of hotels to suit any budget, mostly located in the capital city of Hanoi and the largest city in Vietnam, Ho Chi Minh City. 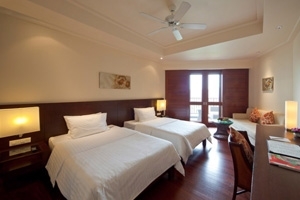 Those looking for a cheap hotel would be best looking at the Saigon Morin a budget friendly hotel that also has a lot of local history wound up in its halls, meaning the sightseeing can start before you even leave your room. 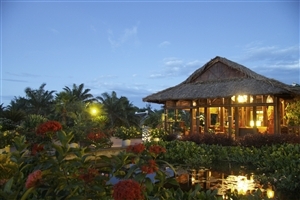 If you’d rather have a beach hotel then the Furama Resort may be what you are looking for. Set right on China Beach, this relaxing hotel even has its own spa. 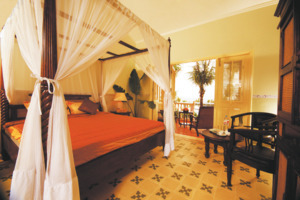 If only the best hotels in Vietnam will do then you could do a lot worse than the five star Evason Ana Mandara. This world class hotel is located in arguably one of the most beautiful places in Vietnam, Nha Trang beach and has all the luxuries you could ever want. Hire a motorbike. Motorbikes are to Vietnam as bicycles are to Beijing. There’s no better way to explore the country than the way the locals do. Just be careful in the cities, as driving laws are a lot more relaxed than in the west! Visit a traditional market. Haggling isn’t for everyone but some people really enjoy it, and no one haggles better than the Vietnamese. Try a beer. Vietnam has the densest population of microbreweries in the world. It would be impossible to try every single beer on offer, but it must be worth a try. Visit Ho Chi Minh’s mausoleum. Possibly the most beloved man in Vietnamese history, it is well worth paying your respects. It could even be argued that without Ho Chi Minh, you may not even be on a trip to Vietnam in the first place. Whatever you choose to do with your time in Vietnam, book your 2019 or 2020 hotel stay with us today and make sure your accommodation is as memorable as the activities you enjoy while you’re there. 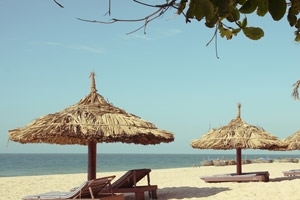 Here is just a selection of our favourite and cheapest hotels in Vietnam Beaches. 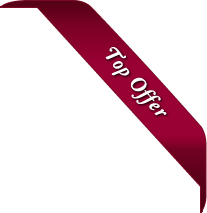 Please use our search panel above to find your perfect choice. A hotel brimming with history and nostalgia, Saigon Morin has stood for more than a century to become a proud landmark of Hue. 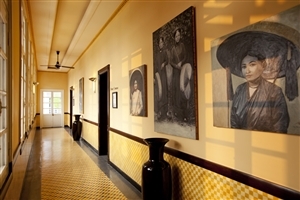 Established in 1901, Saigon Morin has flourished as a luxury hotel since then, evolving with the times to offer a unique and breathtaking blend of authenticity and ... modernity, unlike any other hotel in Hue and possibly the whole of Vietnam. 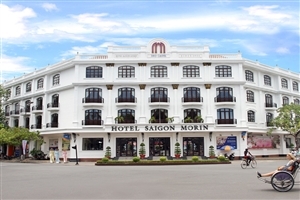 With its colonial-inspired architecture, Saigon Morin complements the traditional style with 183 beautifully styled guestrooms, four on-site restaurants and a host of excellent facilities. 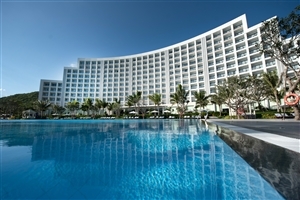 Overlooking the South China Sea, Novotel Nha Trang is a well-appointed hotel ideally positioned along the coast of the Nha Trang city in Vietnam. 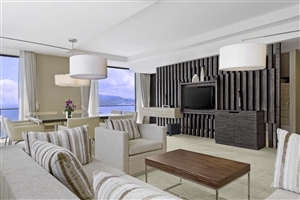 A modern hotel with contemporary design features, Novotel Nha Trang boasts 154 elegant and comfortable guestrooms, each offering exceptional views across the Nha Trang and its ... golden sandy shores. Novotel Nha Trang offers impressive facilities, including a swimming pool and a fitness centre, plus excellent corporate facilities for business travellers. Positioned on the shimmering sands of Mui Ne, one of Vietnam’s most revered beaches, Blue Ocean Resort offers generous accommodation in a picturesque setting. With its huge swimming pool, proximity to the beach and comfortable guestrooms, Blue Ocean Resort offers fine hospitality for the entire family to enjoy. Features include ... an all-day dining venue and a pampering spa, while the lush landscaped gardens are the ideal spot to enjoy Vietnam’s agreeable climate. Situated amidst three hectares of verdant tropical parkland, just 15 kilometres from the beautiful area of Hue, Ana Mandara Hue in Vietnam is encapsulates the best of the renowned Ana Mandara brand in a stunning location. Fringed by a 400-metre stretch of brilliant white beach, Ana Mandara Hue prides itself ... on offering refined accommodation, impeccable customer service and experiences you will never forget. Indulge in the Vietnamese lifestyle with delicious food from the excellent restaurants and sample some relaxing spa techniques, all the while embracing the stunning backdrop of your surroundings. Situated along the beautiful sands of the Mui Ne Beach near the city of Phan Thiet, the Anantara Mui Ne Resort & Spa is a tropical haven that basks pleasantly in the exotic surroundings of one of the most pristine beaches in all of Southeast Asia. Guests are treated to ... a world of wonder during their stay at this elegant oasis that fuses both Vietnamese traditions and details with modern levels of comfort and an attentive level of service legendary to the Anantara group, ensuring immense levels of comfort to each and every traveller. Far removed from the hustle and bustle of the urban lifestyle, the resort exudes a serene ambiance perfectly suited for tropical getaways, filled with gorgeous vantage points to discover, while the quality facilities, exquisite dining venues and each of the 93 guestrooms, suites and villas provide all the luxuries and privacy a guest could ever need while revelling in the soft, sea breeze of the ocean. Wake up to stunning views across Nha Trang Bay every morning with an unforgettable stay at the five-star Sheraton Nha Trang Hotel & Spa. Ideally located just steps from the sumptuous sands of Nha Trang beach, Sheraton Nha Trang Hotel & Spa is ideal for a family Vietnam holiday with ... its luxurious accommodation choices, generous facilities and a superb location that puts it within range of Nha Trang city’s many attractions. Sat nestled atop the southern end of Cua Dai Beach, the Sunrise Hoi An is an exotic retreat that revels in its position, looking out over beautiful, ebbing azure waters. The resort houses several quality facilities and dining venues, as well as amazingly fitted guestrooms, suites and villas, all elegantly ... furnished to accommodate any and all travellers, providing an abundance of luxury and privacy with some even granting guests spectacular views overlooking the glorious South China Sea. 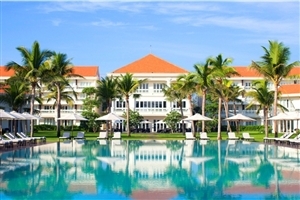 For those looking to indulge in the spectacular landscape of Hoi An in style, this resort is the perfect setting. Nestled amidst four hectares of tropical gardens, Palm Garden Hoi An is a beautiful resort that reflects the majesty of the verdant and lush Hoi An surroundings. Peering out over Cua Dai beach, Palm Garden Hoi An blends traditional values of customer service with contemporary amenities and facilities. 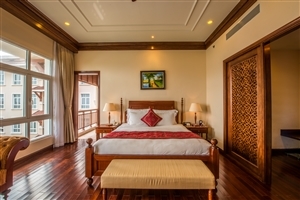 Palm Garden ... Hoi An offers 160 comfortable and stylish guestrooms, suites and bungalows, each thoughtfully designed to ensure functionality and refinement, making this an ideal venue for couples seeking a romantic getaway and families planning a luxury Vietnam trip. 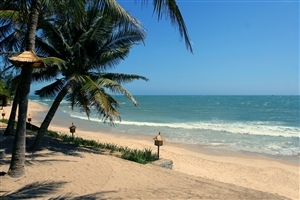 The beachfront at Palm Garden Hoi An has recently been damaged by coastal erosion, so this property is presently not recommended for its beach. The hotel hopes to have 50% of the beach back by the end of Feb 17. Please note there are other beaches close by but this is weather dependent. With its marvellous beachfront location, Boutique Hoi An Resort brings charming Vietnamese hospitality to a breathtakingly beautiful tropical setting. 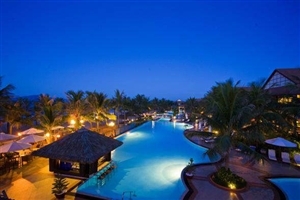 Set on the pristine sands of Hoi An’s pretty beaches, yet located just five minutes from the centre of Hoi An, Boutique Hoi An Resort is well placed for a dream ... Vietnam beach holiday. Better still, Boutique Hoi An Resort adds airy, spacious accommodation and generous amenities, including a pampering spa, dining options and a large resort-front swimming pool. Situated along the Vietnamese South Central Coast, the Angsana Lang Co is a glorious resort that looks out onto a beautiful beach front, with unrivalled views of soft sands and shimmering sea waters. Housing a large number of activities both in-house and throughout the surrounding area, the resort serves as ... an ideal escape destination where travellers can immerse themselves in the thrilling experiences of the area or simply relax and bask in comfort in the privacy of their own accommodation, along the beach or at one of the various dining venues within the resort. The modern resort is elegantly fitted with numerous luxuries to ensure guest satisfaction through and through, with each of the 229 fully fitted guestrooms and suites setting the scene for an unforgettable holiday experience amidst the splendour of Vietnam. Considered one of the most luxurious hotels in Vietnam and Asia, Furama Danang Resort & Spa combines its location on the famous China Beach with five-star lavishness. Traditional architecture blends with the splendour of the natural surroundings, where intricate attention to detail and exquisite touches are apparent across Furama Danang ... Resort & Spa. The pinnacle of luxury in Vietnam, Furama Danang Resort & Spa comprises 198 elegant and refined guestrooms and suites and offers superb facilities, including five sublime restaurants and bars. Located on its own island separate from Nha Trang on the mainland, Vinpearl Resort and Spa is affiliated with the fabulous Vinpearl Amusement Park, one of Vietnam’s foremost attractions. A luxury five-star resort, Vinpearl Resort and Spa is ideally positioned within the park complex, making it ideal for those travelling ... to Vietnam with children. Connected to the mainland by the world’s longest cable car sea-crossing, guests staying at Vinpearl Resort and Spa can take advantage of the unlimited cable car, speed boat and ferry crossings, as well as receive free access to the Vinpearl Amusement Park, Water Park and Underwater World. A luxurious boutique hotel set in the heart of historic Hoi An, Anantara Hoi An is a relaxing choice for a dream Vietnam holiday. Located alongside the languid stretches of the Thu Bon River, Anantara Hoi An is well positioned for guests to explore this UNESCO World Heritage site, while ... the resort’s locally-inspired activities, which include cooking classes and lantern making classes, are a chance for guests to immerse themselves in the towns engaging culture. 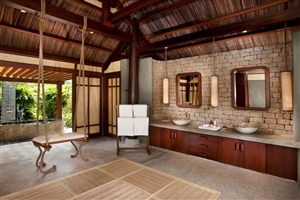 Facilities at Anantara Hoi An include a swimming pool and the indulgent Anantara Spa. With a privileged location off the Vietnam mainland on beautiful Phu Quoc Island, La Veranda Resort is the ideal choice for a dream Vietnam holiday. Overlooking the Gulf of Thailand, La Veranda Resort is a superb spot to enjoy an idyllic couples retreat with its pristine, quiet beaches, while the ... charming 19t century colonial style will engage the soul. Furthermore, La Veranda Resort offers excellent facilities, including a spa, swimming pool and fitness centre, plus an array of fine dining options. Nestled atop the soft white sands of Bac My An Beach, the Pullman Danang Beach Resort is a heavenly paradise filled with luxuries and embraced by splendour, a haven that welcomes guests with a warm welcome and prides itself on providing all the creature comforts a traveller could want. Offering ... numerous activities and facilities, the resort serves as an idyllic escape from the hustle and bustle of life where guests can make their own unforgettable memories in full view of the bountiful landscape set out in front of them. 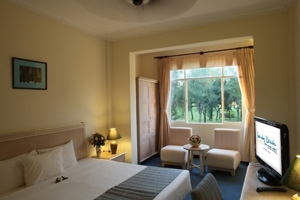 Travellers can explore their lush surroundings, with the city only fifteen minutes away and golf courses scattered around the vicinity, or simply ease back into a state of bliss at the hotel, with each of the 186 guestrooms and cottages setting the scene for what is sure to be an amazing holiday experience. Offering sweeping views of the majestic Nha Trang Bay, Evason Ana Mandara is a quality five-star resort that reflects the splendour of its epic Vietnamese surroundings. Set amidst a breathtakingly stunning natural landscape, Evason Ana Mandara is an idyllic hideaway tucked into tropical gardens for both privacy and tranquillity. Located ... close to Nha Trang city, a hub for entertainment and Vietnamese culture, Evason Ana Mandara remains a peaceful retreat, ideal for honeymooners and families seeking a dream Vietnam holiday. 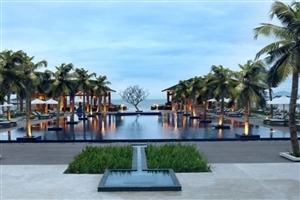 The Hyatt Regency Danang Resort & Spa is a beautiful gem found nestled on an expanse of soft white sand in Vietnam looking out onto the deep blue ocean. 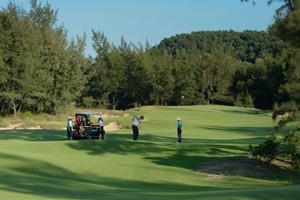 The resort presents guests with a wide variety of activities to fit all the family, as well as offering some of ... the most beautiful viewpoints of the surrounding areas. The hotel thrives on its magnificent sense of style, blending contemporary luxury furnishings with Asiatic themes and traditional nuances in an old-world meets new to create the best of both for the guests to marvel at. The first premier hotel to open in the Hue, Vietnam, La Residence Hotel & Spa brings colonial charm and effortless luxury to this most fascinating city. Inspired by the art deco movement of colonial Indochina, La Residence Hotel & Spa, with its distinctive architecture and exquisite design touches, is a ... refreshing glimpse into the past. Discover sophistication from the beautifully appointed guestrooms, experience the finest Vietnamese cuisine in the on-site gourmet restaurant and choose from a superb range of facilities. Situated along the south central coast of Vietnam, in a pristine beachfront location known as Cam Ranh-Nha Trang, the Fusion Resort Nha Trang is an idyllic haven, where travellers can immerse themselves in the calming ambiance of this intimate luxury resort, offering uninterrupted, stunning views of the crystal clear ocean ... from the twelve metre high sand dunes that the hotel rests upon. Perfect for family adventurers, beach lovers, the spa lover and those who like optimum levels of relaxation on their holiday, this all spa-inclusive resort strives to help all visitors unwind and enjoy its lavish comforts and spacious setting by offering complimentary spa, wellness and other recreational activities every day. With in-house dining venues to visit, offering flavoursome, modern cuisines and a range of luxurious villas and suites to choose from, each with their own private oasis, guests are sure to come away feeling refreshed and completely rejuvenated. Set on the sands of Non Nuoc Beach, considered amongst the six most beautiful beaches on the planet according to Forbes magazine, Vinpearl Luxury Danang complements its stunning setting by offering lavish five-star luxury. 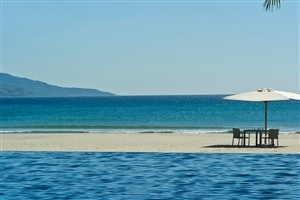 Book a stay at Vinpearl Luxury Danang and you can choose from an array of accommodation ... options, including beachfront guestrooms and stand-alone villas, enjoy culinary excellence in one of the superb restaurants and admire the incredible surroundings of turquoise water and striking mountains. The ideal choice for a romantic holiday or an unforgettable honeymoon, the exclusive An Lam Ninh Van Bay Villas offers outstanding standards of luxury in a spectacularly beautiful beachside setting. 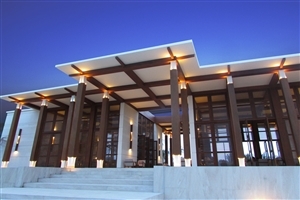 Tucked into the tranquil An Lam Ninh Bay, near Nha Trang, the resort comprises of lavish and elegant Villas located ... in the hills, at the edge of the lagoon or overlooking the beach, with each featuring a private pool. Distinguishing features include personalised food menus as crafted by expert chefs, a sumptuous Spa and an infinity-pool offering unforgettable views across the South China Sea. Located in Central Vietnam, the Banyan Tree Lang Co is a fantastic resort that brings all the comforts and luxuries of a world class villa resort and combines it with a verdant landscape of tugged terrain and beach fronts to create a haven of peace and beauty. Dramatic panoramic views ... compliment the modern, stylish ambiance of the resort, with lush greenery juxtaposed against refreshing private pools, soft, lavish silks and chic decor in a fusion of man-made and natural wonder that will appease even the most discerning guest. A variety of dining options are available, with several venues to choose from all serving their own individual concoctions for all palates, while the soothing and entertaining facilities across the resort are aimed at travellers of all ages, so family adventurers and romantic couples can get the most out of their time spent in glorious Vietnam. 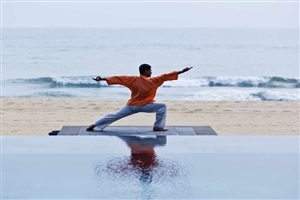 Award-winning Fusion Maia Da Nang, located on the golden shores of My Khe Beach, is an all-pool, all-villa beachfront boutique resort that is dedicated to the art of relaxation. An indulgent all-spa inclusive offering, and surprising breakfast anytime anywhere concept, encourages an easy-going holiday feeling, with Fusion Maia being a treat ... for the senses thanks to its effortless style and refinement, its intimate well-appointed accommodation, superb customer service and its extensive facilities. Afford yourself the holiday of a lifetime at Fusion Maia Da Nang, the perfect Vietnam holiday to enjoy a relaxing, luxurious experience. Perfect for those seeking a romantic and intimate luxury Vietnam holiday resort, Six Senses Ninh Van Bay represents the finest in five-star tropical luxury. 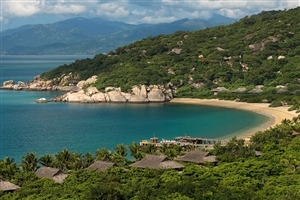 Ideal for a honeymoon or couple’s retreat, Six Senses Ninh Van Bay appeals with its lavishly-appointed stand-alone villa accommodation, each of which overlooks the stunningly beautiful ... Ninh Van Bay and the surrounding mountains. Guests staying at Six Senses Ninh Van Bay will be treated to personal standards of service and a choice of exceptional gourmet restaurants in a temptingly secluded setting. 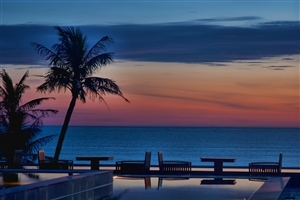 Fringed by a kilometre of unspoiled sand and overlooking the glistening waters of the South China Sea, Nam Hai Hoi An is a beautiful five-star resort in a magnificent Vietnam setting. 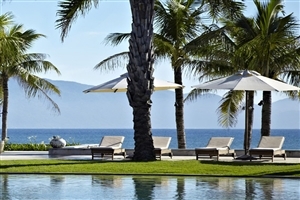 A graceful and refined destination, Nam Hai Hoi An comprises 100 villas, each superbly appointed and furnished to the ... highest standards of quality to ensure your stay is blissfully comfortable. Bask in the elegance of your surroundings from the pristine beach, or sample the wealth of excellent facilities available at Nam Hai Hoi An, including watersports and a decadent spa. Mountainsides blanketed in lush vegetation and vast stretches of pristine white sands both accompany the azure waters of the East Sea to create a paradise destination upon Non Nuoc Beach where the fantastic Sandy Beach Non Nuoc Resort Danang resides, sat as a beacon of luxury and modern comfort nestled ... among the unfettered landscape. The resort is spread out over forty two acres of landscaped gardens, providing plenty of space and privacy, it also houses a wide number of facilities for guests to enjoy, including various water sports that family adventurers and couples can enjoy, while each of the dining venues offer up delicious dishes that travellers can really sink their teeth into. 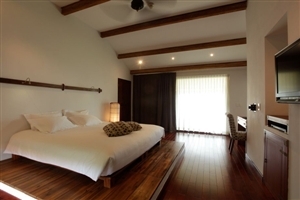 The resort’s various guestrooms, bungalows and villas are all designed with the most lavish furnishings and stylish decor to ensure the best, most comfortable time possible among the rugged magnificence of Vietnam. The prestigious Swiss Belhotel Golden Sands Resort & Spa is a luxury hotel that perfectly complements its magnificent setting on the beautiful Vietnam coast at Hoi An. Part of the Swiss-Belhotel International Group, Swiss Belhotel Golden Sands Resort & Spa blends acclaimed high standards of customer service and quality with ... Vietnamese charm and authenticity. Fringed by the golden sands of Cua Dai beach, Swiss Belhotel Golden Sands Resort & Spa offers a sumptuous 212 guestrooms and suites, and excellent facilities. With its charming colonial touches and a beautiful setting on the Nha Trang coastline, Sunrise Nha Tran Beach Hotel & Spa is the ideal luxurious five-star resort for a Vietnam holiday. With its 125 sea-facing guestrooms, guests will wake up to excellent views each morning, while the excellent amenities, which ... include the Sunrise Spa, a swimming pool and a fitness centre, are destined to further impress. 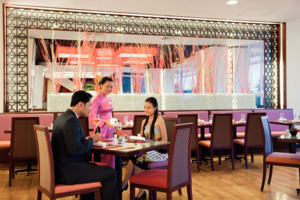 Furthermore, guests also have the option to dine in a selection of tempting restaurants and bars.